Golf cart are basically used to travel short distances, they can also be used in different location for different purposes such as resorts, hotels and retirement villages and others. These carts are also used in airports and shopping malls to carry luggage over short distance or inside a building. The participation rate in golf game is increasing due to increasing personal disposable income of consumers and changing life style of consumers. Golf is considered as a luxurious game; therefore higher personal disposable income ensures that a greater number of people can afford to play golf. Electric golf cart is the most popular product due to its wide range of application in different sectors such as mall, hotels, resorts etc. 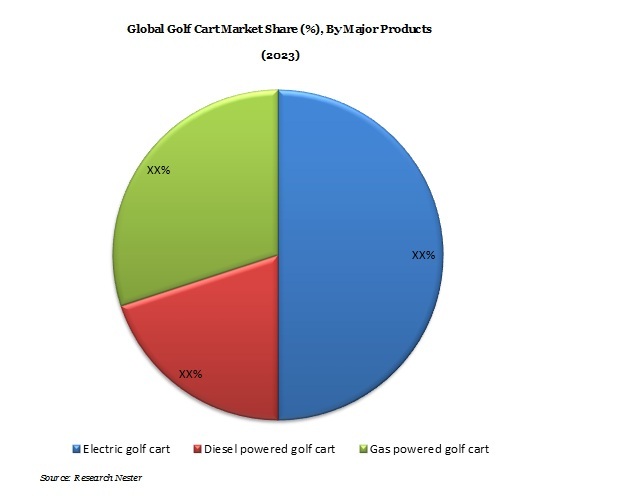 this has increased the demand for golf cart in various end use applications, further boosting the global golf cart market. Technological innovation associated with golf cart such as introduction of solar powered golf cart, development of more efficient and long lasting batteries for electric golf cart has fuelled the demand of eco-friendly golf carts across the globe. Increasing personal disposable income coupled with rising number of sports events such as Olympics, Asian games, common wealth games are anticipated to be the major factors that will incline the player’s behaviour towards the game and this will further boost the demand of golf cart over the forecast period. Since golf is a luxurious game, a small fraction of peoples can afford the spending of the game and lack of proper infrastructure to support the golf industry is a major factor that will restrain the market growth across the globe.